The Centre has decided to infuse Rs.280 crore in Indian Bank by way of preferential equity allotment. TM Bhasin, Chairman and Managing Director of Indian Bank, said the government had decided to infuse capital in five public banks, including Indian Bank. “The decision (government’s) was based on our efficiency”, said Bhasin. Standard Chartered Bank has revised upward its India economic growth forecast for 2015-16 to 7.7 percent under the new series, from its earlier estimate of 6.3 percent under the old series. The upward revision comes on expectations of a kick-start in the investment cycle on the ground in 2015-16. Women-focussed Bharatiya Mahila Bank (BMB) is targeting a four-fold jump in total business turnover in the fiscal 2015-16, up from the current Rs.1,000 crore. As part of it, the bank has set a target to add 70 more branches during the aforesaid period. The 15-month-old bank currently has 45 branches, which, it intends to increase to 80 by March 2015, followed by another 70 by the next fiscal year. 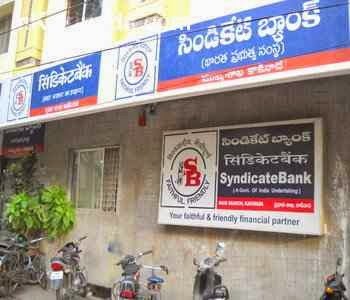 Syndicate Bank reported a 20 percent drop in net profit for the December quarter on lower net interest income and higher tax expenses. The Manipal-headquartered public sector bank reported a net profit of Rs.305 crore for the December quarter as against Rs.379.76 crore in the corresponding year-ago quarter. Operating profit was 4 percent higher at Rs.838 crore (Rs.806 crore). Net interest income stood at Rs.1,317.68 crore (Rs.1,358.53 crore in the year-ago quarter). The gross NPA (non-performing asset) ratio stood at 3.60 percent against the corresponding last year’s 2.80 percent. The net NPA ratio grew to 2.38 percent during the quarter, up from 1.68 percent. State Bank of India (SBI), the country’s largest lender by assets, is likely to raise close to Rs.12,000 crore of capital by issuing fresh shares to investors. The public sector bank appointed nine arranges for the issue. Canara Bank has said that it plans to soon raise Rs.1,500 crore through issue of bonds to fund its business growth and meet global capital adequacy norms through issue of Basel-III complaint perpetual bonds (Additional Tier-I instruments) by way of private placement. According to the PMJDY website, a little more than 127 million new bank accounts have been opened since launch of the scheme on August 28, 2014. Overall, that takes the number of households in the country with at least one individual bank account to 210.5 million. According to census data, only 36 percent of Indian households had access to banking services in 2001; this increased to 59 percent in 2011.